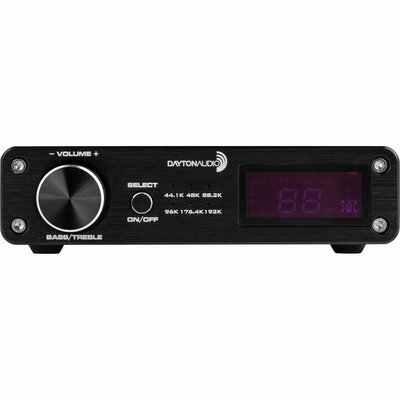 The Dayton Audio DTA Pro provides a rich feature set including Bluetooth, USB DAC, and even a wireless remote control. With 50 watts per channel at 4 ohms, the DTA-Pro provides enough power to run even the most demanding speakers. High efficiency paired with low THD offers up an impeccably clean, uncolored audio experience. Rediscover your favorite music with the DTA-PRO. This all-in-one amplifier starts with a refined, brushed aluminum case and fills it chock full of features. 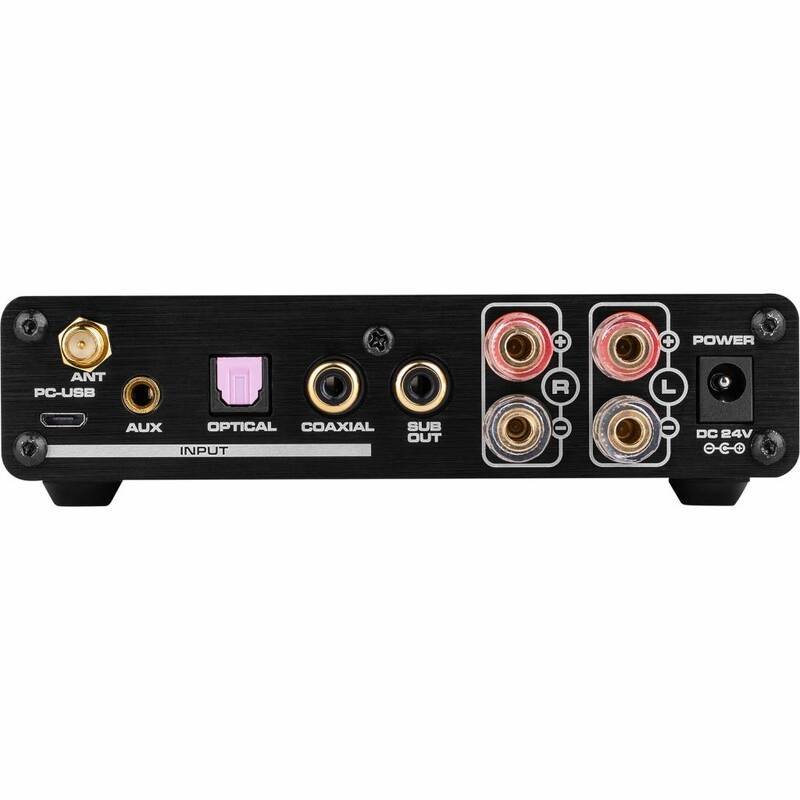 This powerful 50 watt per channel amplifier offers clean and precise sound with a number of convenient input options. For convenience and usability the DTA-PRO comes equipped with Bluetooth 4.2 with aptX. 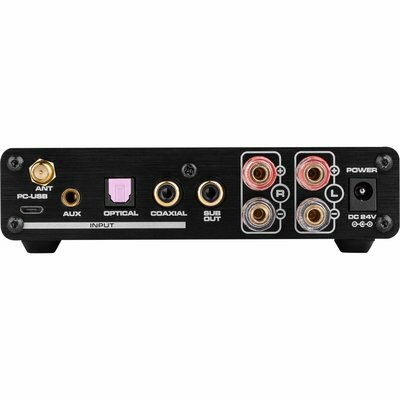 For the very best in audio quality the DTA-PRO offers an optical / coaxial input capable of 192 kHz/24-bit sampling rate. 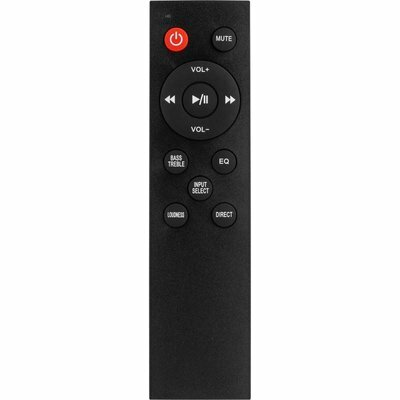 Other input methods also include USB and a 3.5mm stereo jack. 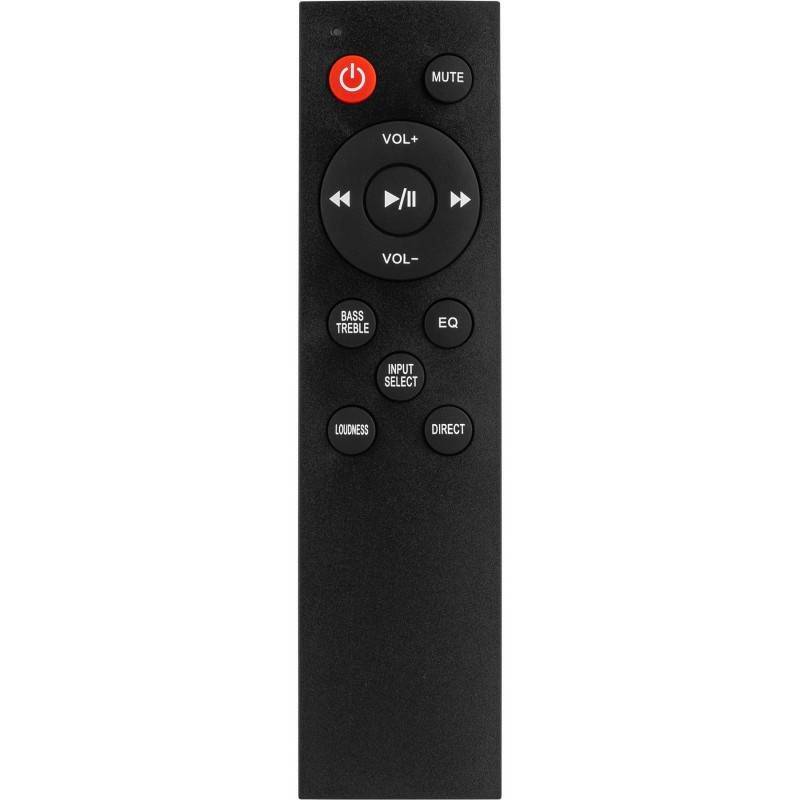 Included with the DTA-PRO is a full function wireless remote which allows for total control over the amplifiers number of presets and features including EQ presets, bass / treble adjustment, and even track control when utilizing the Bluetooth or DAC input. 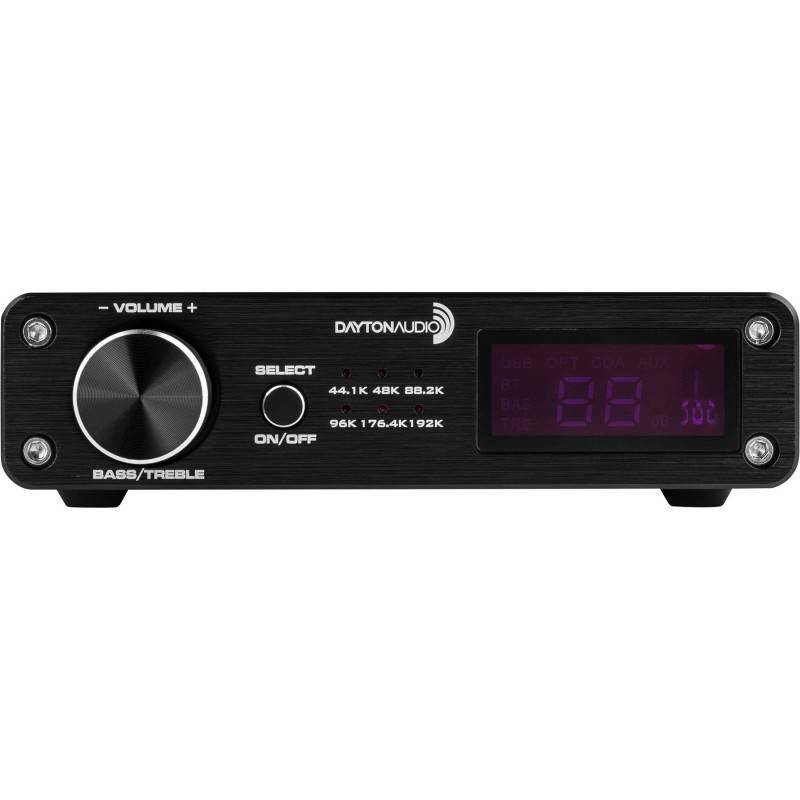 The DTA-PRO also offers a powerful line level output for connecting a powered subwoofer. At nearly 3 VRMS the subwoofer output provides a powerful signal to give your powered subwoofer the signal it needs to really pound. Specifications: • Power output: 2 x 50 watts @ 4 ohms • Frequency response: -1.5 dB (20 Hz-20 kHz) • THD+N: 0.09% at 100mV input • Dynamic range: 129 dB at 1 kHz • SNR: -107 dB at 1 kHz • Inputs: USB, digital optical, digital coaxial, stereo 3.5 mm, Bluetooth • Sub level: 2.7VRMS maximum • Sampling bit rate: 192 kHz/24-bit (coaxial and optical), 96 kHz/24-bit (USB) • Electrical requirement: 24V-32V • Minimum input sensitivity: 1.1V • Maximum input sensitivity: 2.5V • Channel separation: -60 dB • Efficiency: 88% • Chipset: SA9023+CS8416+TAS5342A+TAS5508C+DAC PCM1808+NE5532 • Dimensions: 1.2" H x 5.2" W x 5" D.